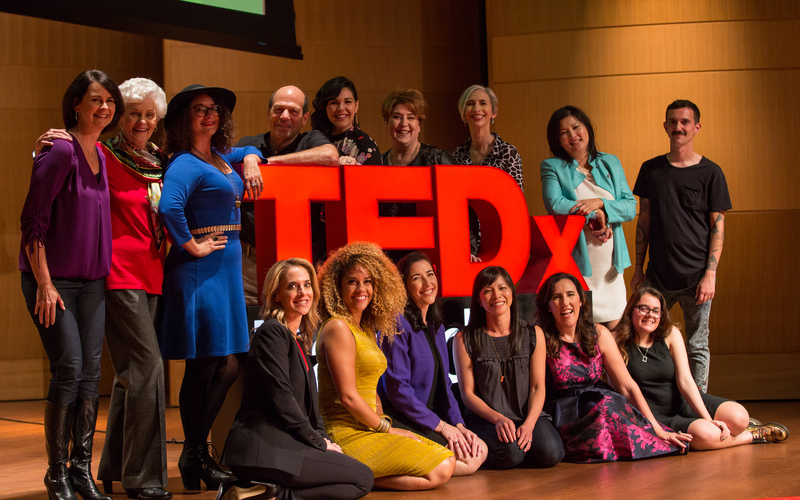 In 2017, the TedxPasadena community joined in for a day dedicated to transcending the past and transforming the future. RISE —celebrated Ideas That Elevate! Valerie Alexander is the Founder and CEO of Goalkeeper Media, maker of communication bots to amplify happiness, including the Happy Couples Bot. Valerie has extensive experience in corporate and start-up arenas, but left Silicon Valley to find success as a screenwriter in Los Angeles. Valerie wrote, produced and directed more than 50 shorts, commercials and PSAs, including the award-winning, anti-bullying short film, “Ballpark Bullies”, and the groundbreaking commercial, “Say I Do”, in support of marriage equality. As author of the Amazon #1 seller, “Happiness as a Second Language”, and a nationally known speaker on happiness in the workplace and the advancement of women, Valerie is a recognized expert on the topics. In addition to “Happiness as a Second Language”, Valerie’s books include “Success as a Second Language” and “How Women Can Succeed in the Workplace (Despite Having “Female Brains)”. She holds an honors certificate in the Science of Happiness from the Greater Good Science Center at U.C. Berkeley, and is the resident “Happiness Guru” for the talk show, EVOLVE with John Edward. Amara Barroeta is the owner of Amara Chocolate & Coffee Cafe in Pasadena, California. Originally from Venezuela, Amara emigrated to the United States in 2010. Prior to leaving Venezuela, in 2002, she was crowned first runner-up in the Miss Venezuela pageant, which lead to a position as a television newscaster and the chance to travel the world (most often, to Hollywood.) During this time, Amara remained committed to her university degree and ultimately graduated as a Chemical Engineer, with a specialization in food processing. In 2010, Amara came to the US to study for her MBA at UCLA. The increasing political unrest and corruption in her home country led Amara to make the difficult, but heartfelt, decision to stay permanently in the United States. In 2012, utilizing her background in chemical engineering, the skill-set acquired from her MBA, and her bright, friendly personality, Amara translated her myriad talents to business ownership, opening Pasadena’s first Venezuelan cafe and quickly becoming the most beloved barista and chocolatier in Old Town Pasadena. Mei Fong is a Pulitzer-prize winning journalist and author who has covered Asia for many years as a Wall Street Journal correspondent. Her first book—“One Child: The Story of China’s Most Radical Experiment”—debuted in 2016 to critical acclaim from the New York Times, Guardian, Independent, Ms., The Times of London, and Telegraph. It was called “a searing, important, and eminently readable exploration of China’s one-child policy,” by Nick Kristof in the New York Review of Books. The book was also chosen as one of the top 10 non-fiction books of 2016 by Zocalo; named one of Medium’s Best Human Rights Books of 2016; and is recommended reading by the Council of Foreign Relations, TED, and Economist magazine’s lifestyle and ideas publication,1843. Mei, a fellow at DC-based think tank, New America, was also named one of the Top 50 people to watch on US-China relations by Foreign Policy magazine. She graduated from the National University of Singapore and has a Masters in International Affairs from Columbia. Joyce Ruygrok has held many professional and community roles including as a long-time member and former president of the local PTA. She worked in La Canada as a Counseling Center Administrator, a Tournament of Roses volunteer, and on the Board of Directors for the Chamber of Commerce. Joyce founded Diet 4 Health in 1980, an organization which is still active today—and founding member of Canada Auxiliary of Professionals of Assistants League of Flintridge, where she served as President and received the Les Tupper Community Award. She became the Verdugo Mental Health President in 1996; a position she later revisited as the President of the Verdugo Mental Health Foundation in 2007. That same year, she facilitated a merger with Didi Hirsch Mental Health. Joyce has been a Kiwanis Club of La Crescenta – La Canada member since 1998—she took on the role of President in 2010-2011, and received the Distinguished Kiwanis Award in 2010. For the past seven years, Joyce has sat on the Hillside Learning Center Board of Directors, and spent the last two years volunteering as a Senior Warden at St. George’s Episcopal Church. Her proudest achievement yet, however, is as mother to three beautiful daughters, and as grandmother to three grandsons and one granddaughter. Carri Twigg is a cultural/campaign strategist and a unique millennial voice. She served as Special Assistant to President Obama during his administration, overseeing White House efforts to protect the rights of working Americans. She also served as Director of Public Engagement for Vice President Biden. In that role, Carri was a senior advisor to the Vice President and crafted his public-facing work on behalf of the administration. Additionally, Carri served as a White House liaison to the creative community, helping to expand the cultural competencies of the White House beyond its previous dimensions. Carri has also built and consulted on strategic cultural movements, including the California-based Schools Not Prisons Tour and the SuperPAC Save The Day with director Joss Whedon, which created multiple viral videos throughout the election. In 2016, Carri worked with VH1 to reprise its iconic “Behind The” franchise, writing and hosting a series looking at issues impacting the 2016 Presidential election titled #BehindTheVote. Her other clients include MTV, AFROPUNK, and the Ms. Foundation for Women.